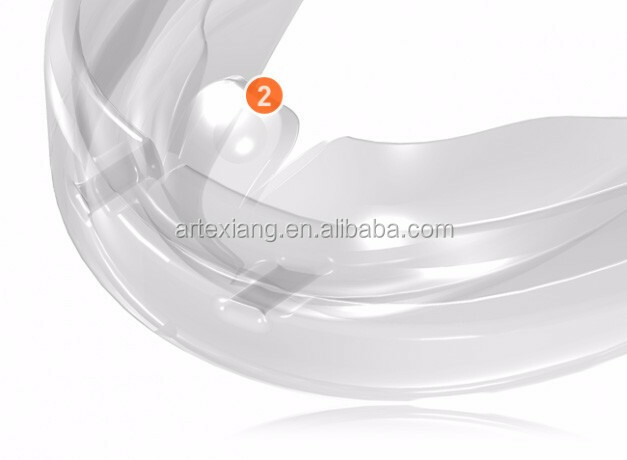 1.Aerofoil-shaped base – for joint decompression. 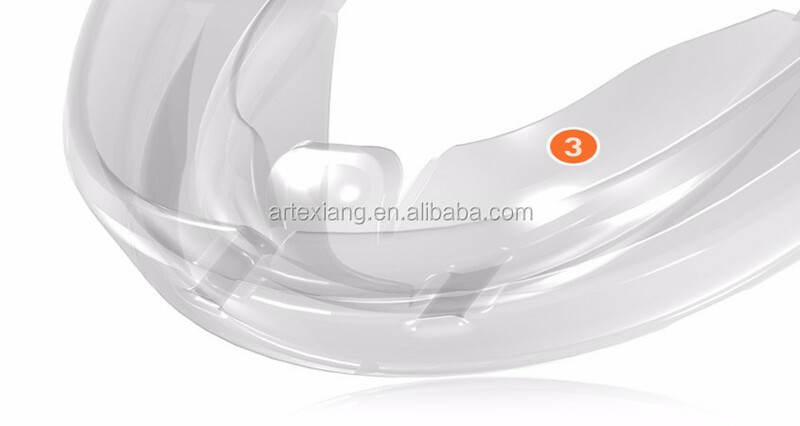 2.Tongue tag – stops tongue thrusting, grinding, reverse swallowing and other contributing factors in TM Joint disorder. 3.Tongue guard – controls the tongue position. 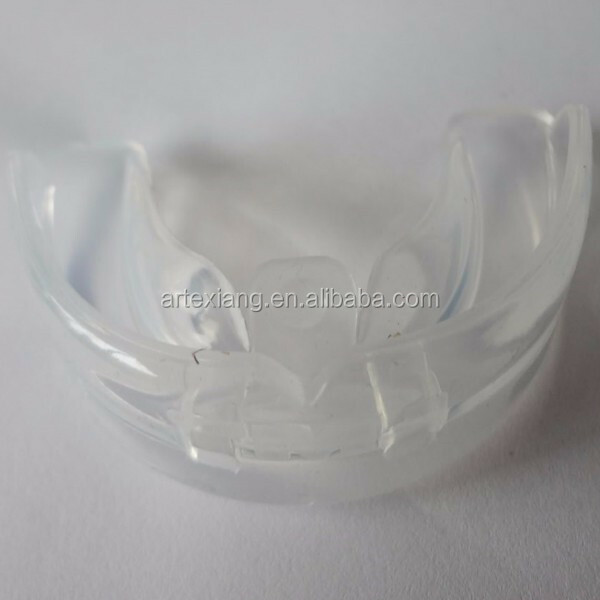 4.Double mouthguard effect – with vertical sides that limit bruxing. 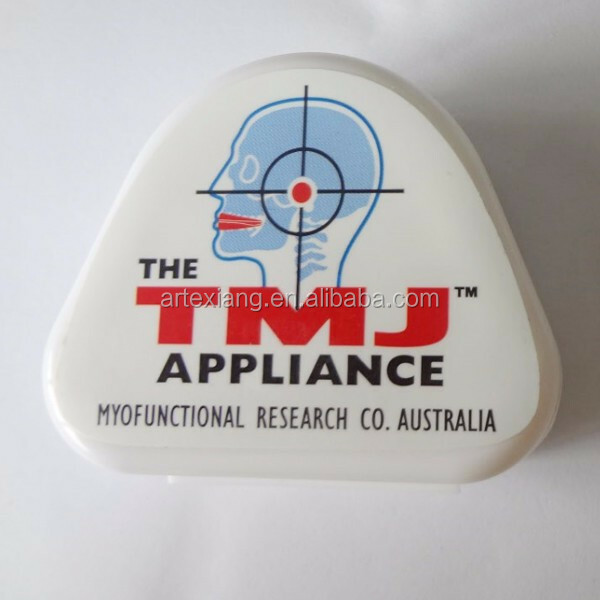 The TMJ Appliance™ works best to relax the cranio-mandibular muscles – for extra-capsular relief. 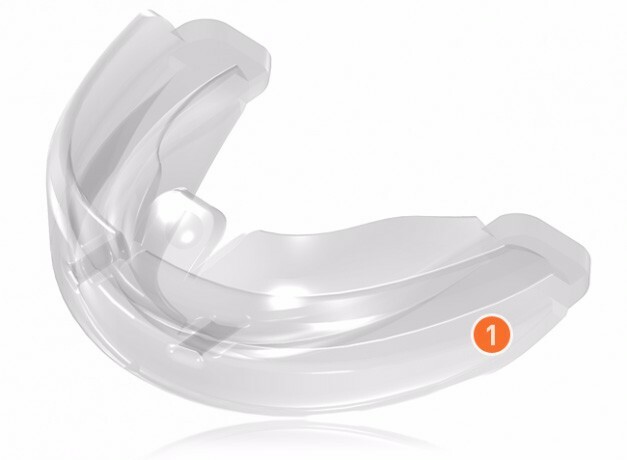 It treats symptoms by decompressing the joint through its aerofoil shaped base and eliminating the effects of bruxing with its double-mouthguard effect. The appliances have a thick section at the back which relieves pressure by gently decompressing the inflamed joints when placed in the mouth. They also automatically correct the alignment of the lower jaw and stretch the tight and painful muscles around the jaws, head and neck area, resulting in an immediate decrease in pain. Over long periods, this helps to decrease long term pain. 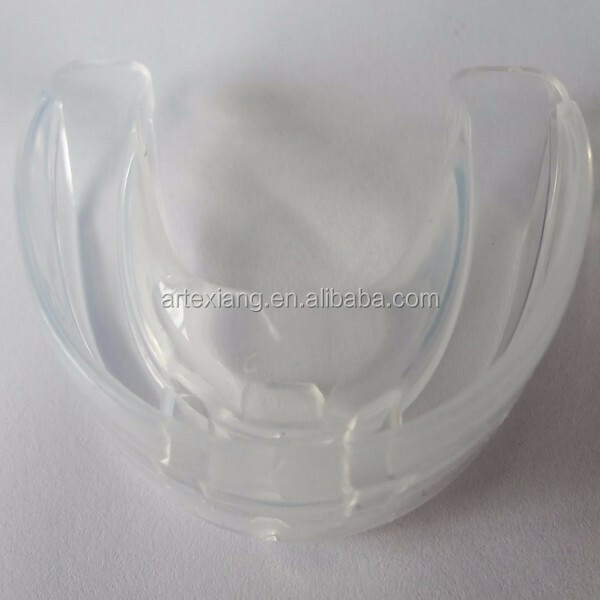 Bruxing (grinding of teeth) is also prevented by the patented aerofoil shaped base and dual moulded design. 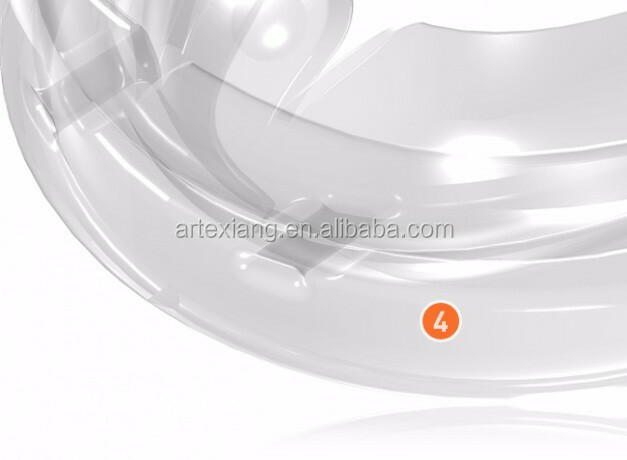 The appliance should be used for one hour a day and overnight while sleeping. With good compliance, symptoms should reduce in the first few days but sometimes several weeks of use are necessary before pain relief is experienced. Continue to use the appliance for a minimum of 30 to 60 days after which you can determine how much continued use is needed to maintain symptom relief. 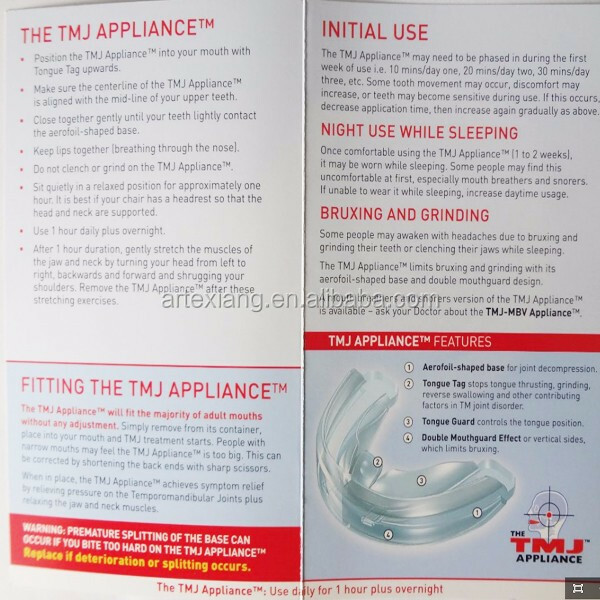 The TMJ Appliance comes in one size with no impressions, moulding or adjustments required and fits 95% of adults. The appliances are effective, simple to use and can be dispensed by the Doctor without an additional referral needed. 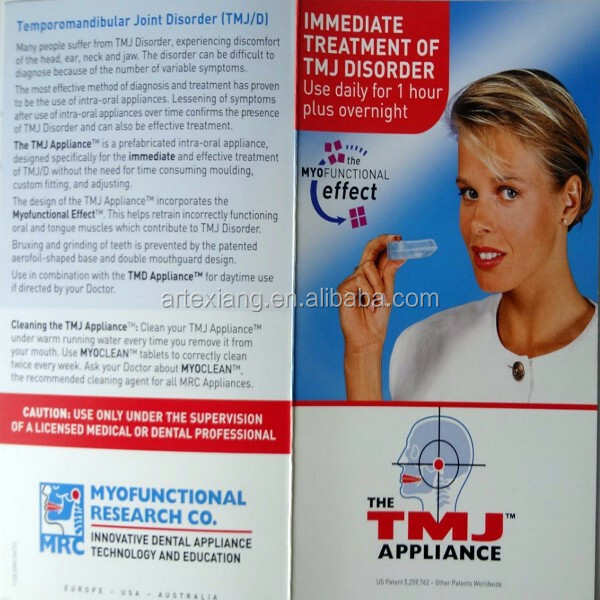 For patients who require more treatment time during the day, the TMD Appliance is also available. Universal size for all adults – fits 95% of patients without adjustment. 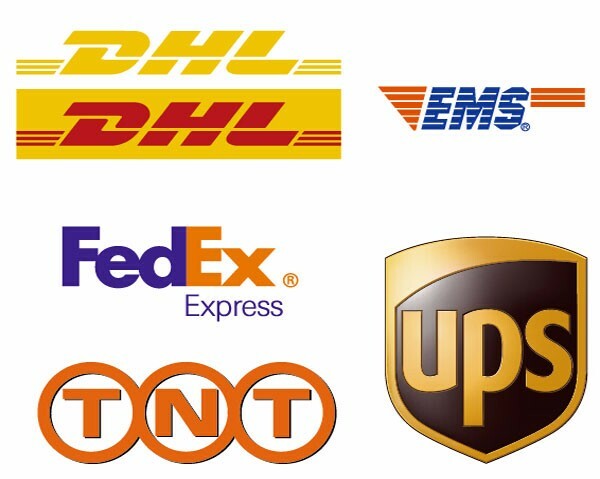 No impressions, no moulding – effectively zero chair time. Symptoms are reduced or eliminated without time consuming procedures. 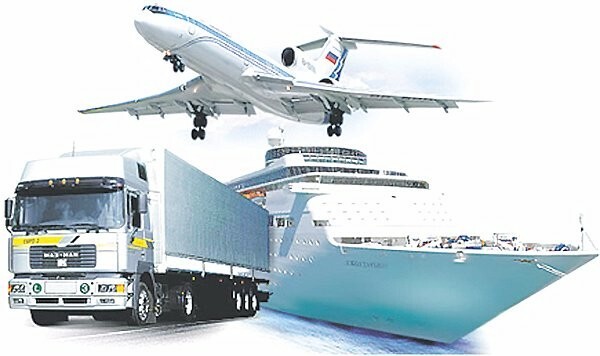 Diagnostic procedure at low time and cost. Soft silicone construction material is “easy” on painful joints and muscles, unlike hard acrylic splints. Ideal for initial symptom reduction. Patient instructions are contained in the pack. Sterilised by boiling or autoclaving. A low cost initial treatment.